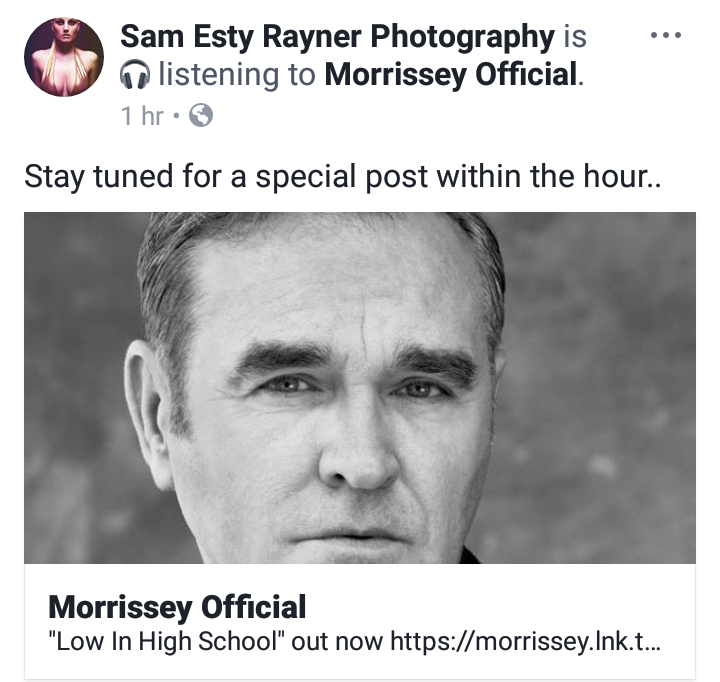 Note: this is not confirmed via 'official' sources. 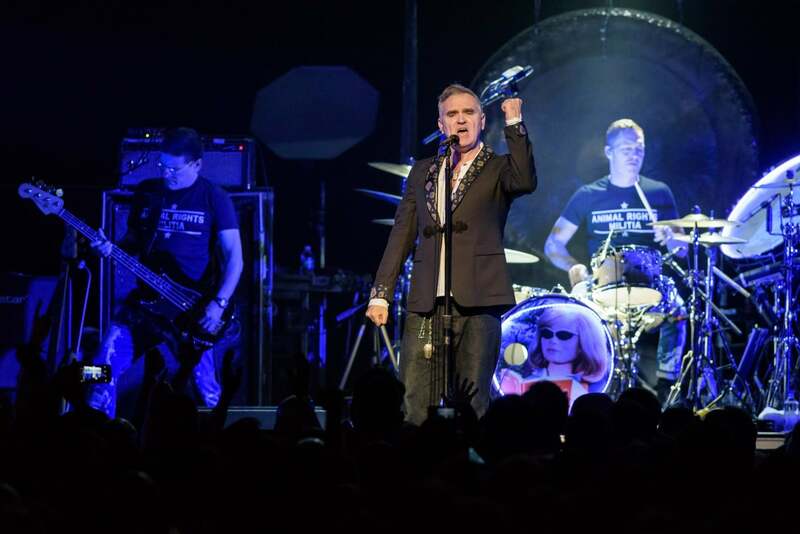 Morrissey isn't going to be able to make it to the show. I hope he is ok and now I am worried. He wouldn't miss an LA show unless we wasn't well. Another time. Thank you for three great shows. Orpheum Theatre posted in the FB event that the show has been cancelled. 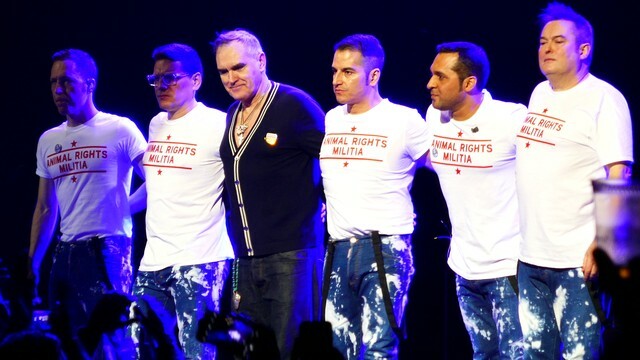 It is with great regret that we must inform you that tomorrow evening’s Morrissey performance at The Orpheum has been cancelled due to illness in the touring party. The Orpheum team apologizes greatly for this disappointment and wishes those who are ill a speedy recovery. Refunds are available at point of purchase. 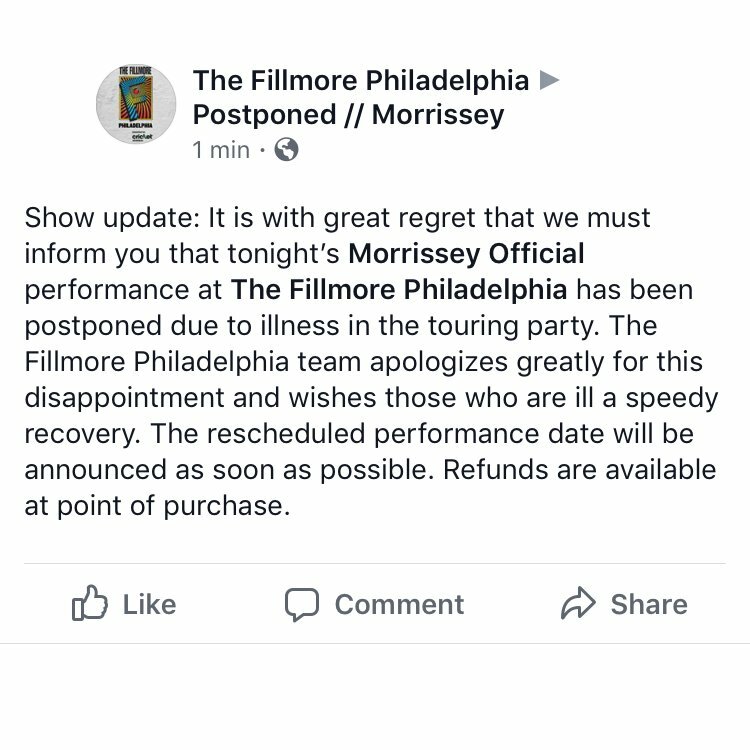 Bad news - Philadelphia postponed "due to illness in the touring party"
Anyone got any details. Drivers, turn around. Philly is now officially cancelled. Refunds to come.